Utility for rendering animation and static scenes in 2 Stages from the animated camera. while 2nd Stage is the final rendering. This approach allows for all frames receive the same high-quality Irradiance map in less time. For more information see topic Rendering a walk-through animation from Vray tutorial. Rendering in two stages for to obtain better results in less time. Ability to exclude from the Global Illumination rendering VrayFur, RPC, some lights and Displace. Automatic creation of animated camera VrayCam. 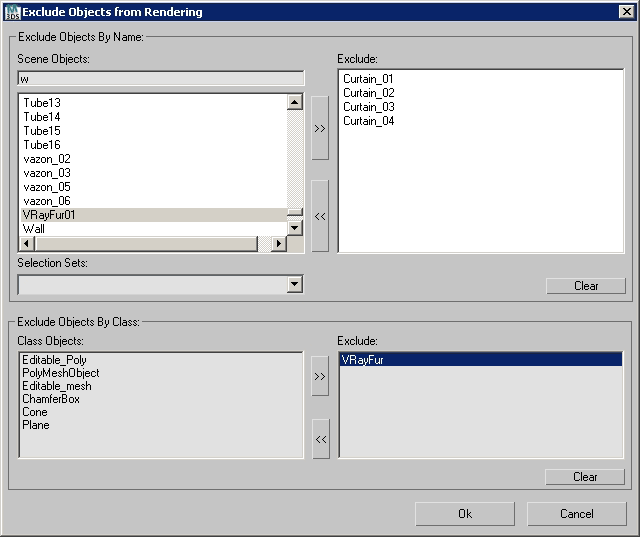 Create subfolders for RenderOutput, RenderElements and irradiance map. Automatized naming LightCache, Irradiance map, RenderOutput and RenderElements. It is possible to convert the files into one EXR file with all channels or Render Elements into the separate EXR files. This is a script I created to automatically setup your Irradiance Map for V-Ray. Basically you select what camera you want to render from, select what frame range, the path where you want your Irradience Maps to Generate to and the information automatically goes into your Irradiance settings. It will even create the file for you. This is useful for companies that send many animations via network rendering by saving time in setting up your irradiances.